Note: This items ships via LTL Freight only. This item will ship to the carrier dock for customer pickup by default. A versatile glue designed for bonding wood and other porous substrates to synthetic materials such as melamine, vinyl, HPL and metals. It offers a fast initial tack, yet has a longer open time that allows for the accurate alignment of working materials. It's thicker formulation offers fewer runs and drips, making it easier to use for precise assemblies. By using Titebond Melamine Glue you can expect superior & consistent performance with each and every application. 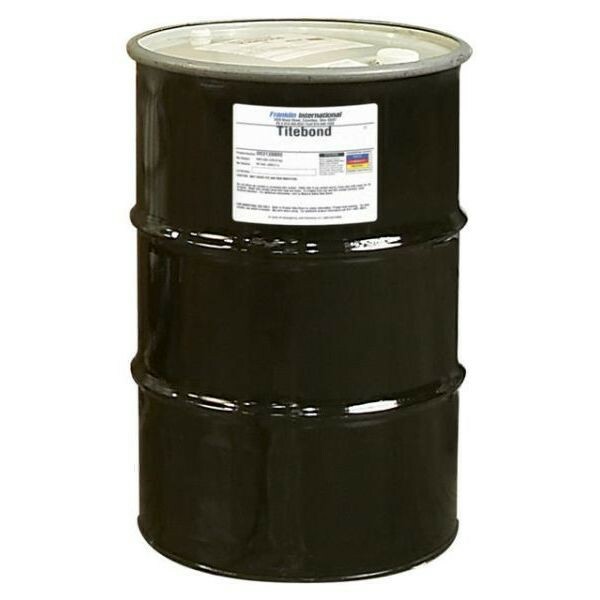 Titebond Melamine Glue is made from the same high-performance, consistent materials as the rest of the Titebond line to ensure a successful bond. Significantly stronger than the leading competitor at room & elevated temperatures. Superior heat-resistance for kitchen applications (less tendency to de-laminate due to heated pots & pans vs standard adhesives). Excellent initial tack, good flow properties & solid surface coverage. Consistent quality & performance with each use. Low odor & dries clear. Minimum required spread: 6 to 7 mils (typical), or 250 square feet per gallon. Methods of application: Easily spread with a roller spreader or brush, or may be transferred to plastic bottles for finer gluing applications. 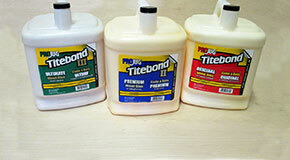 Titebond Melamine Glue is not intended for exterior use or where moisture is likely. Not for structural or load bearing applications. Vacuum pressing should only be used for veneers up to 1/16 inch in thickness. Do not use when temperature, glue or materials are below 40°F. If product has been frozen (gel-like appearance), it cannot be used. Read MSDS before use. Keep from freezing. Keep out of reach of children. This item can only be shipped via LTL Freight. By default Wood Stock Supply sends all freight shipments to the nearest carrier dock for customer pick up. If you would like to make special arrangements such as time critical deilvery, residential delivery, or delivery to your business please note so in the comments field when placing your order (be advised that additional fees may apply).